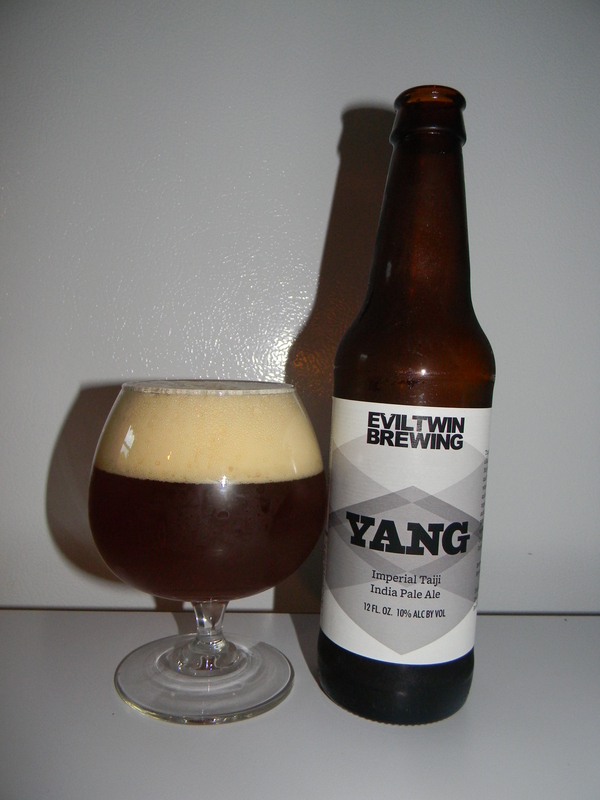 Evil Twin | Beer Apprentice - Craft Beer News, Reviews, Interviews and Info. Hello everyone. Thanks for stopping by for another craft beer review. 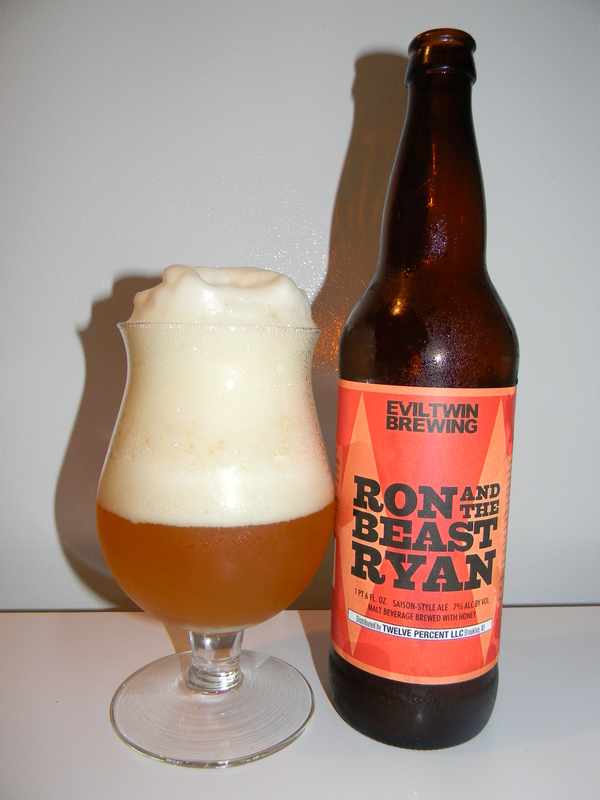 Today, I’m going to be trying the Ron and the Beast Ryan produced by the Evil Twin Brewing Company positioned in Valby, Denmark. I’ve heard some really nice things about this beer and I’ve had pretty good luck with the Evil Twin brews I’ve tried thus far, so we should be in for a pleasant experience with this one. The website, eviltwin.dk, had this bit on info on the Ron and the Beast Ryan. Ok. Let’s get it poured, shall we? This particular beverage came in a 22 oz. bomber and it possessed an ABV of 7.0%. It poured a hazy, orangish/yellow tint with a gargantuan white head. The texture was very billowy, very soapy, very rocky and very frothy. The retention time was incredible. It did not want to die down at all. Once it did settle somewhat the lacing left behind was very patchy, but very clingy. Actually, the foam on top of the liquid never did quite dissipate all the way. A little was left for the duration of the drink. The nose released those great funky, musty barnyard notes that I love. It definitely has that Brettanomyces characteristic to it. Hints of lemongrass and hay along with some slightly soured green apple came forth next. Some floral components were discovered as well. As the brew began to warm a bit of yeast along with lighter hints of peppery spice arrived to add even more complexity and balance. A super good nose on this one I thought. 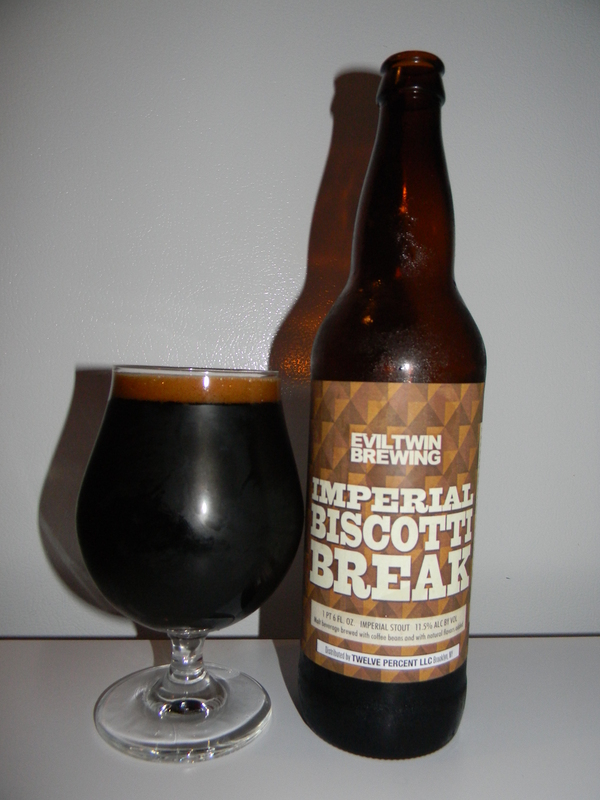 The flavor provided more of the “Bretty” goodness. It was very manageable though. Nothing overpowering or nothing that would distract from the other intricacies of lemongrass, hay and earthiness. The peppery spice and the minutely soured green apple seemed to be more subdued in the flavor than they were in the bouquet I thought. Also, the label stated that it was brewed with honey, however I can’t say that I discovered any. Either way, it was still a very tasty brew. The mouthfeel was medium bodied. Mostly dry with a crisp, zesty, refreshing and thirst quenching aspect. The carbonation was quite lively and a delicate amount of warmth was felt from the combination of the alcohol and light pepper. An ok amount of flavor was left behind after each sip, however not as much as I was expecting. Oh well. Yeah, Evil Twin has made another very nice beer with Ron and the Beast Ryan. I really liked it. Especially the funkiness. It was plenty elaborate for some serious discussion, yet the drinkability was good enough to almost quaff without giving it much thought. Therefore, this beer would be well suited for the hot days of Summer without having to revert to a “lawnmower” beer if you were looking for something that wouldn’t be a burden to drink, yet you wanted a little more kick. So, if you haven’t had the Evil Twin Ron and the Beast Ryan before, I’d recommend you pick it up sometime this Summer and give it a go. I think that it could satisfy even the most advanced craft beer drinkers palate.